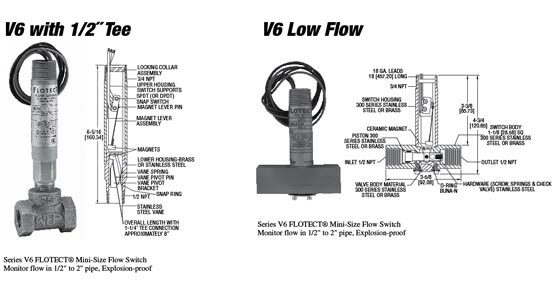 Flow switches are used in fuel oil systems to provide proof of flow from the pumps. They are the main indicator when it is time to start a backup pump on a duplex pump set. The flow switch electrical contacts are completely sealed from the fluid flow, and is actuated by a pair of magnets.